If we think of photography as a continuum, with documentary photography (capturing the event, object, story) on one end and interpretative photography (portraying the feeling, essence, emotive qualities) on the other end, most photography falls somewhere between the two poles. That said, photographers often show a preference – slight or strong – for one of these two approaches to photography. For me, art is all about reaching head and heart. In my photography I try to capture enough of the subject to set a context but also try to provide an emotive element. 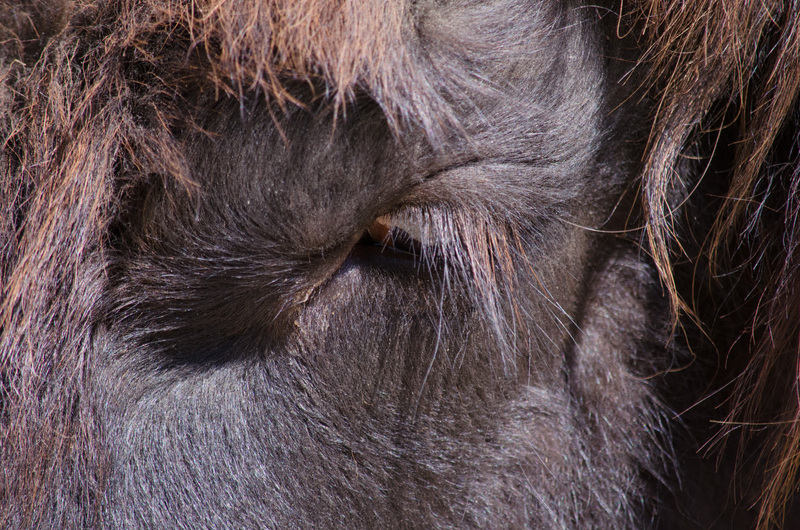 Today’s somewhat abstract images from the zoo lean much more toward the interpretative end of the continuum. 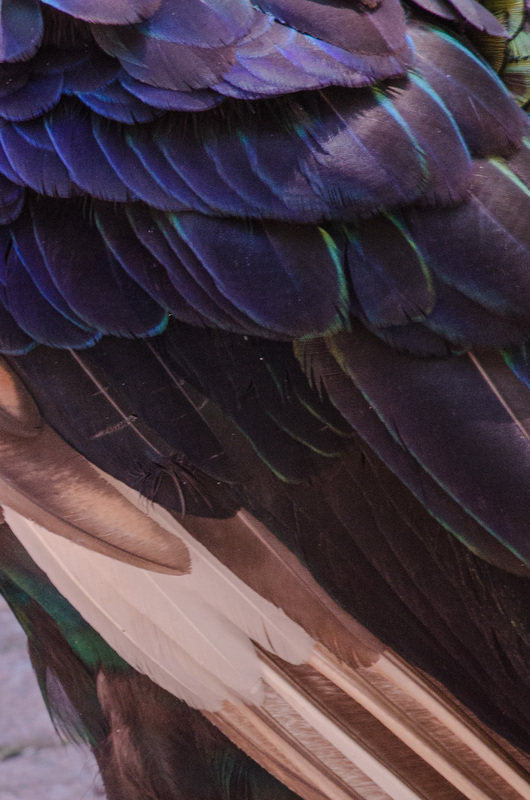 In the first two images I attempted to portray the intrinsic beauty of the peacock through rather abstract (interpretive) images of the bird’s feathers. 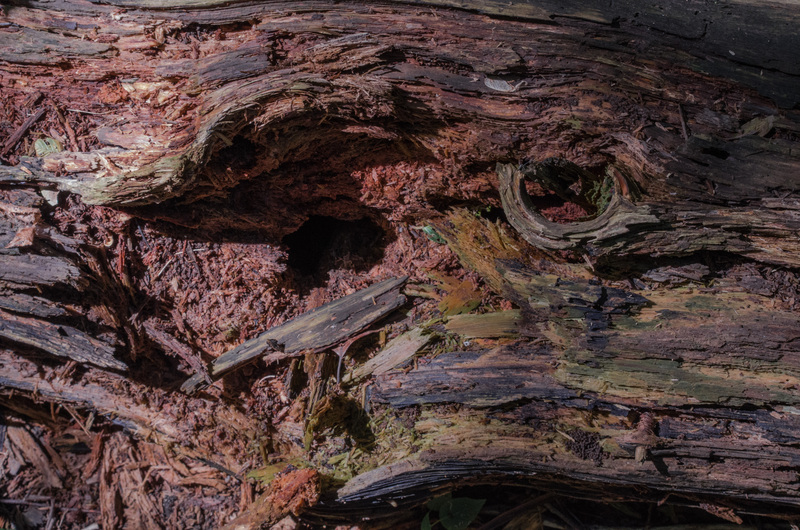 The third image is about the colorful beauty of the rotting process in a fallen tree. The last image is of eyelashes from an African cow. The interpretation comes in capturing the swirls and the shadows in this tight shot. 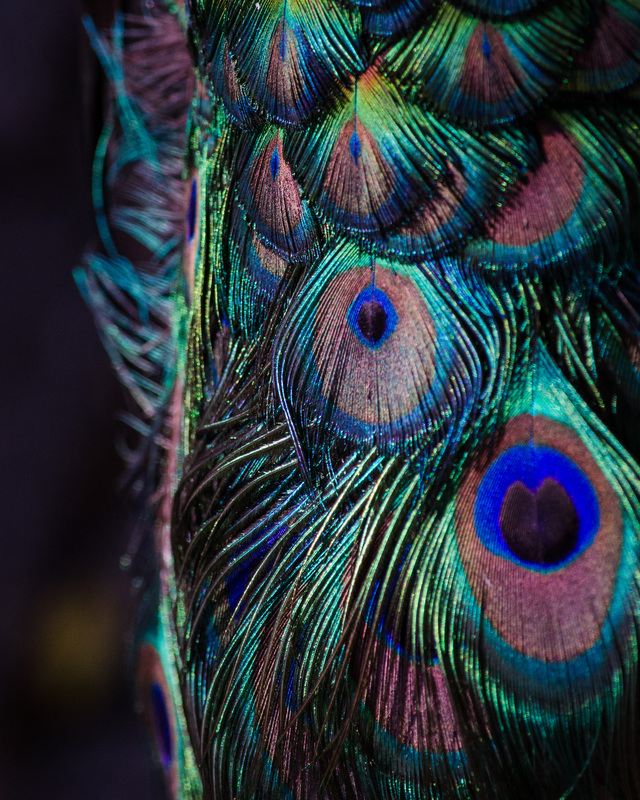 Love your photos…art should touch you. Thanks Charlie. I agree that art should touch both head and heart; lead you to reflect and feel. Wonderful photos, Julie. And I love your new header. It is perfect!